We are wrapping up the school year over here! Can I get a whoop whoop! I'm honestly not sure who is more excited, me or the boys. Regardless, Friday will be our last day and I can't wait to get summer on the move. As we move into this beautiful new time of the year I wanted to blog about something that has become dear to my heart over the last 3 months. Break time. The thought came to my mind right after basketball was over. Owen was 8 days old at the boys first game and we didn't miss any of them. The initial reaction was GASP, I could never. But after I mentioned it to my husband we decided it would be the best decision for our family. In this day and age, we are so busy. Sports, dance, gymnastics, school, birthday parties, music classes, I felt like I never saw my kids anymore. We rushed from one place to another. Shoveling in dinner in the car or eating a quick sandwich while standing in the kitchen so we could make it to the next practice on time. Don't get me wrong. I LOVE this season in life when my kids are active and I am so blessed to be there for every. single. second of it. But after basketball ended in January, we decided to take a break. We skipped baseball. We skipped flag football. We skipped the boys spring classes with our homeschool group. We decided not to start Avery in dance yet. Sure, the boys were a little upset at first. Even though they are not huge baseball fans, they still enjoy playing and we haven't missed a season since Jayden was 5. But once the initial shock wore off they handled it well. Ok. It's short term. We will get though summer and start football up in August. So what have we done the last 3 months. We've lived. We've enjoyed spring nights eating dinner on the patio together. We've taken afternoon walks and played at the park. We've thrown balls and had numerous basketball playoffs in the driveway. We've slept in on Saturday morning. And most of all, we've just enjoyed each other. Will it continue, no. In fall, we will start back to football. It's one of my favorite things about being a boy mom. Avery will start dance. We will get to our homeschool classes and life will get busy again. But I won't forget this time. And if I get the chance again, you better believe I will take it. So, make sure you take some break time this summer. Snuggle those babies up and just enjoy them. There will always be time for activities but your time when they are small is so short. In the end, I promise that they will thank you. Love this. Glad you are taking a family break and enjoying this time together. 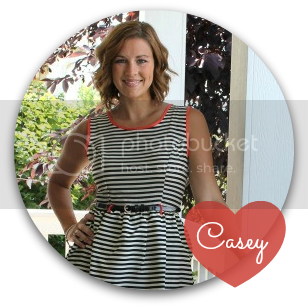 I love this, Casey! I think it is important to take this time. It must be hard with four kids - I can't imagine! Good for you!! The forms are that of rotogravure and letterpress Stickers To Close Envelopes. press. Show your support and order your pink decal from our site. of heart disease and high blood pressure. I am with you on this one! We decided to have Dylan skip the tournament team and summer baseball team this year, and Lexie is skipping summer gymnastics. I just want to enjoy my time with my three before number four joins us! We have plenty of fun outings together planned!